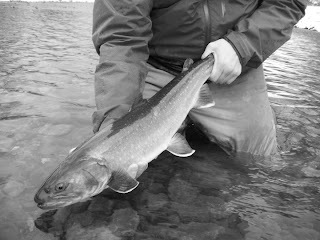 Nice Bulltrout caught in a cold, gusty winter storm yesterday. The weather these fish bite can be quite surprising sometimes. This Bull took a Black Sculpin fly in some low and cold water.